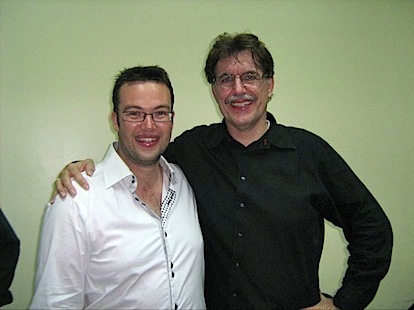 About a year ago my former student and dear friend, Isaac Sanabria, contacted me about a possible visit to Chile for a master class. 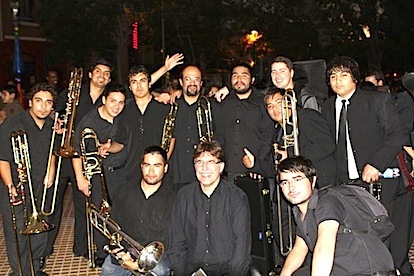 After his study with me at the Codarts Conservatory Isaac got a job in Santiago de Chile in the Orquesta Filarmónica de Santiago! 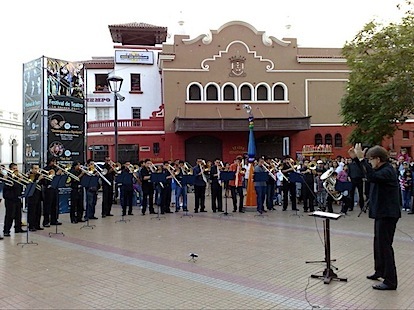 Together with his new friend Martín Herrera Mauad, Isaac had the plan to organize a big event in La Serena. 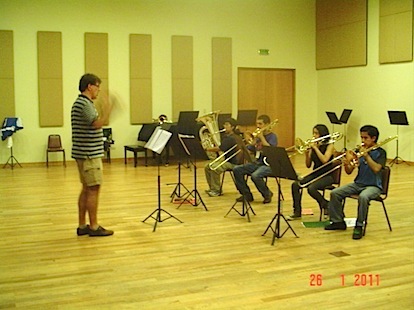 Martin is professor for low brass at the conservatory of La Serena. 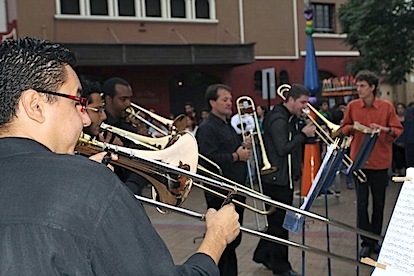 A great guy who also plays very good on the trombone. 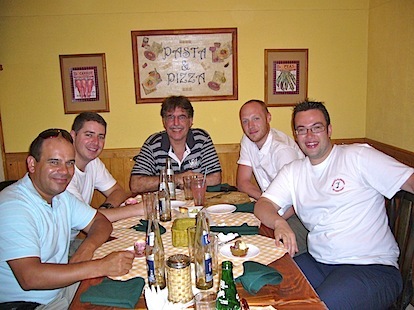 I met Martin during previous festivals in Peru and now he was the host of this great event! Thanks for all your work and help Martin! 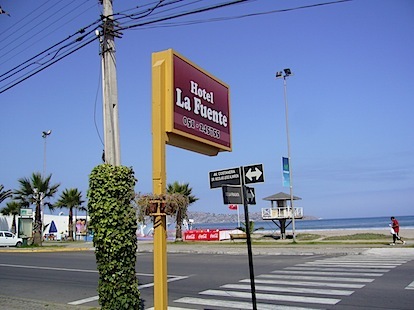 One year later on January 30, I was on my way to La Serena. 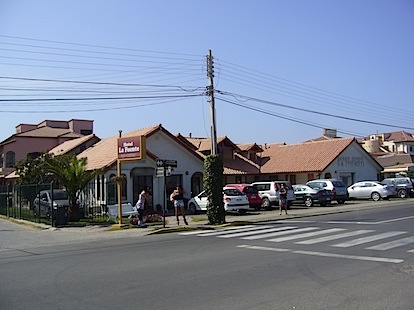 Amsterdam-Madrid-Santiago-La Serena only 25 hours travel-time and I arrived in La Serena. 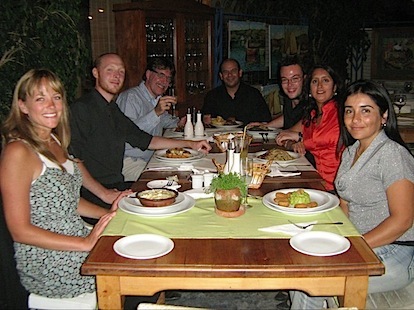 we went for a nice diner on the beach. 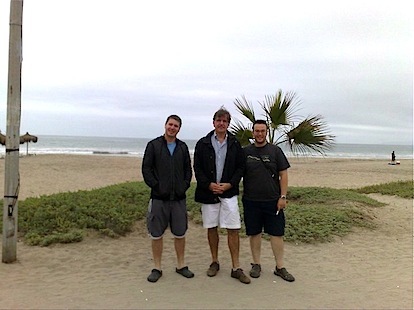 Here they introduced me to 2 of the other teachers during the Encuentro. 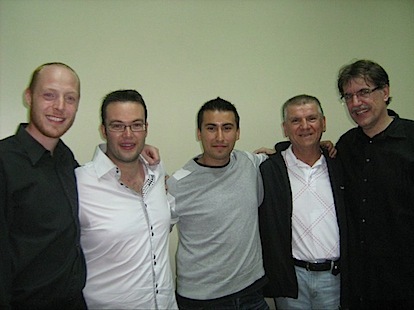 Carlos Freitas and Will Porter and together with Isaac the teaching team was complete. From the very start of the event it was clear it would be just great. All teachers worked hard for 5 days. 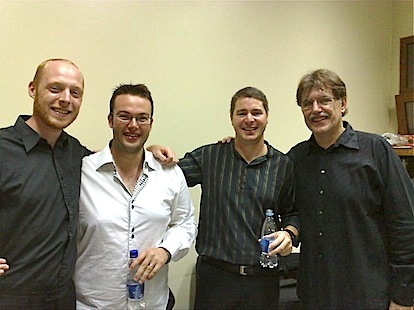 Warm-up sessions, Masterclasses, recitals and ensemble playing all coached by either one the four teachers! I like you to have a look at some of the pictures and I am sure you will feel the positive energy coming over! 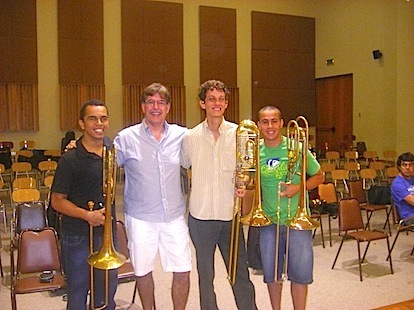 Master classes to both tenor and bass trombones. The second day the four teachers played a recital. 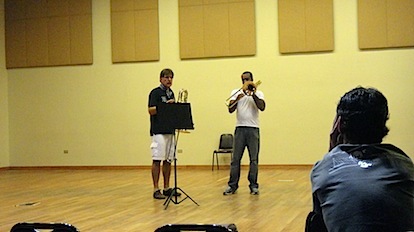 Will Porter, trombone of the Orquesta Filarmónica de Santiago played a wonderful performance of Sulek's Vox Gabrieli. Isaac Sanabria played Sang till Lotta by Sandstrom and Lebedev's Concerto. I was a very proud teacher! 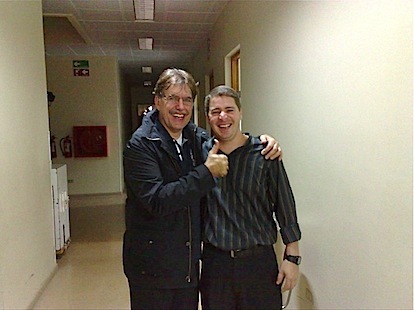 Carlos Freitas, one the most talented young players around, played a wonderful Concerto by Tomasi. Absolutely first class!! And he played Berio's Sequenza! 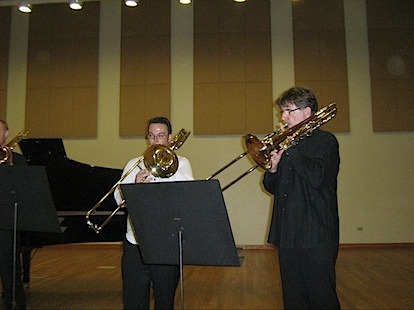 I played Gluck's Melodie and Steven Verhelst's "Danzone". 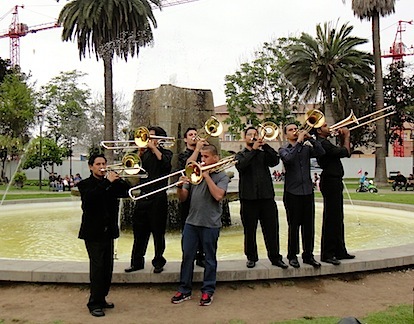 Together we played some popular Chilean songs arranged beautifully by Juan Reyes! 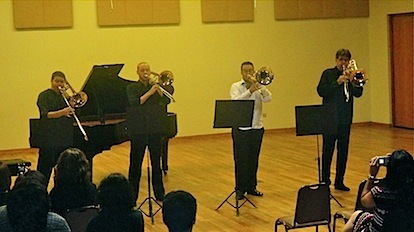 Will, Isaac, Carlos and Ben after their recital! 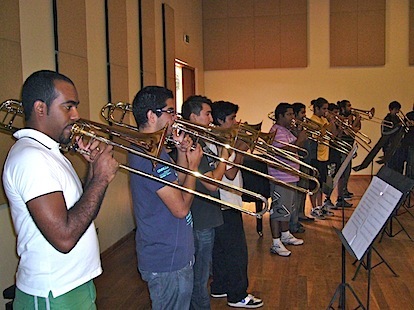 Carlos Freitas - Trombone Solo da Orquestra Sinfonica da Universidade de São Paulo, Trombone Solo da Camerata Aberta e Professor de Trombone da Escola de Musica do Estado de São Paulo. 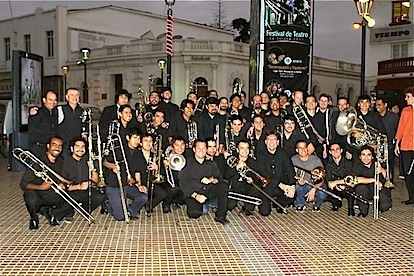 Ben and the section of Orquesta Filarmónica de Santiago! Teacher and pupil, just friends! 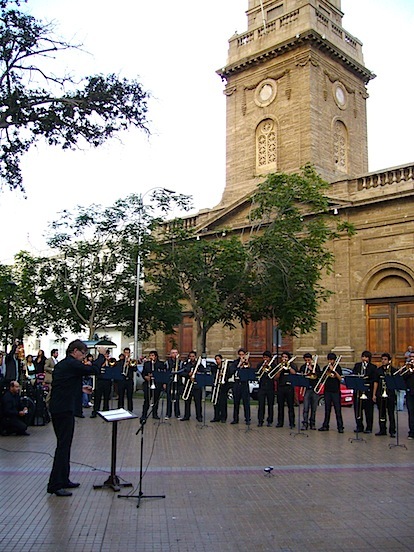 We had a wonderful outdoor concert on the Plaza de Armes in La Serena. 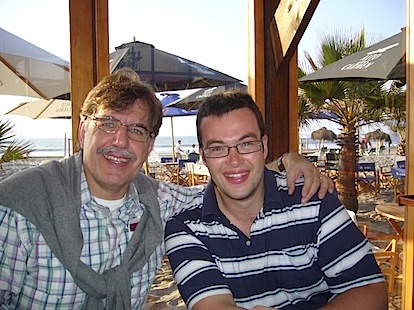 Together with Francisco Alaniz Cerda professor in Santiago. 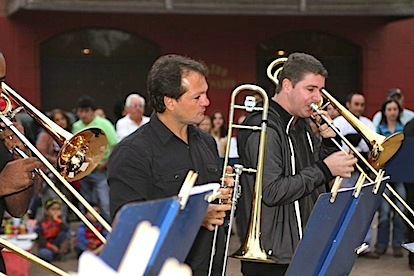 Concert by the Brazilian trombone ensemble with their leader Carlos Freitas. 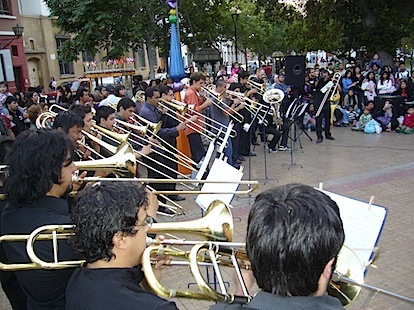 trombone players gathering in La Serena! 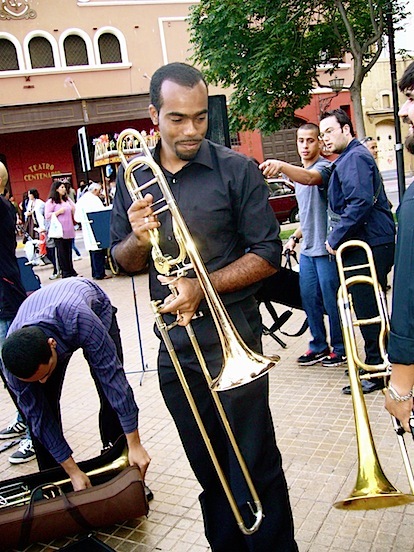 Ricardo Santos, a super bass trombone from Brazil! 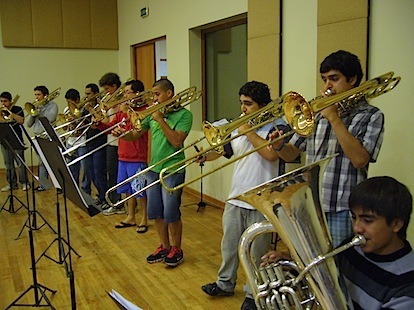 Some young Brazilian talent having fun! 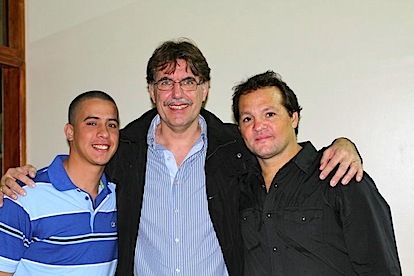 Wesley and Silvio, teacher and student from Brazil. A final toast on a great event. Gracias a todos!! So nice!! Bravo :) y...hasta pronto! 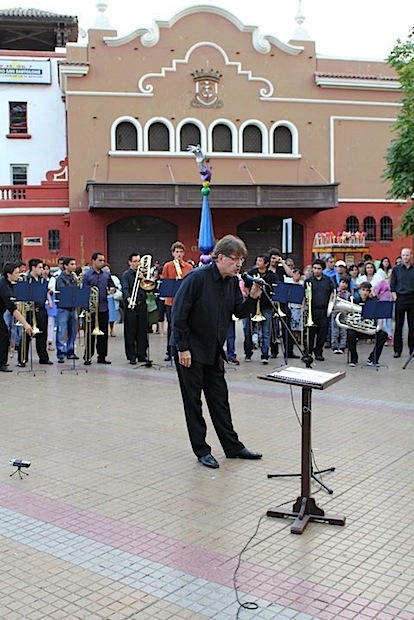 Muchas gracias Maestro por toda la amistad y conocimientos entregados...hemos ganado un gran maestro y un inmenso amigo.